With matching Engineered Mesh bomber jackets. 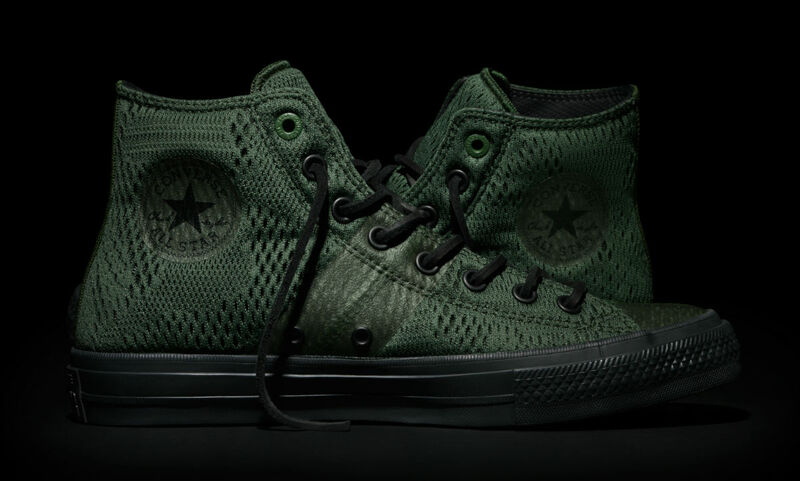 With the brand's Hunter Camouflage pattern in mind, Converse will soon issue the Chuck II in Engineered Mesh with uniquely layered uppers. The shoes also features fused overlay, classic toe caps, leather interiors and Nike's Lunarlon cushioning. To coincide with the launch, Converse also created Engineered Mesh M1 bomber jackets featuring the same abstract camo pattern. Other details include a perforated polyester half-moon at the neck, shoelace hanger loop, end on end poly rib and a canvas rubber wordmark patch. 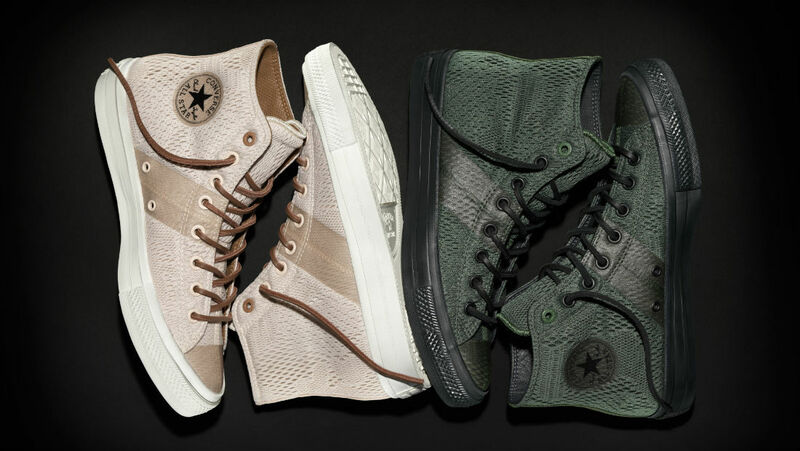 Both the Chuck II and M1 Bomber Jacket in olive and sand will be available beginning Oct. 7 at converse.com, Converse stores and third party retailers.